It is truly a pleasure to welcome you to Café Castello Italian Restaurant & Pizzeria. 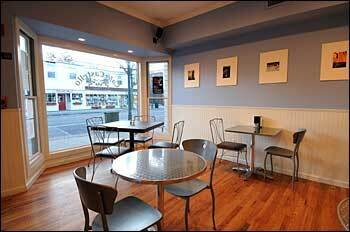 We are a family owned and operated restaurant with a commitment to service and value. We take pride in using only the finest and freshest quality ingredients available in preparing each and every meal. Every item, including our delicious pizza dough, is prepared fresh in our kitchen. We use only the finest tomatoes and the best herbs and spices when preparing our sauces. Our pasta, imported from Italy, is the highest quality and all of our dishes are prepared to order! Whether it be one slice of pizza or a full-course dinner, we want your dining experience to be very special and pleasurable. It may take a few minutes, but we strive to make your Café Castello pizza or entrée the best it can be. 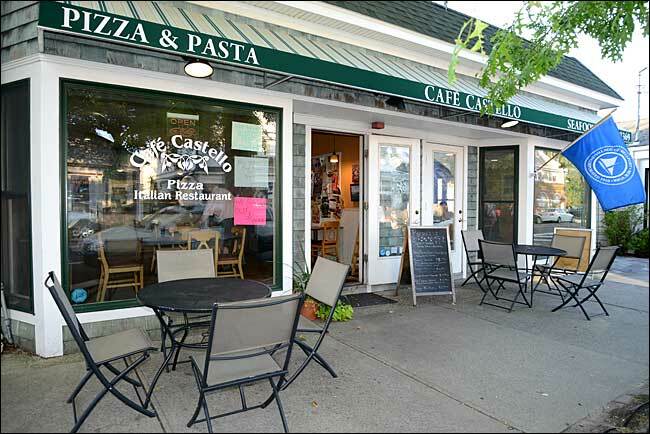 Because of Bellport Village's unique needs, Café Castello also serves Breakfast, in addition to Lunch and Dinner each day to help you get a start on the day. From 8am to 10pm, Monday to Friday and 7am to 9pm on Saturday and Sunday, we're here to serve you. So, stop in for a visit, you'll be glad you did. We're open seven days a week for everything from a snack to a full dinner. 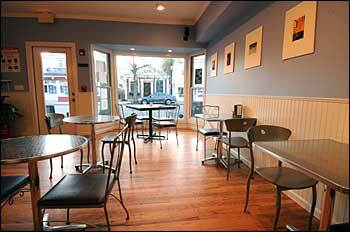 Recently, resident Mary Butler approached Nick Gagliardi, the owner of Café Castello on Main Street in the heart of the Village, with an idea. Mary explained that there are Seniors in the Village who because of their age or physical restrictions, can’t drive at night or go out for a great meal at Café Castello. 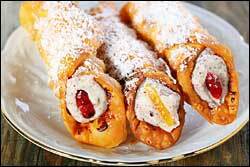 Mary suggested that Nick start a Home Delivery Service at Café Castello. Nick explained that he just doesn’t have the staff for such a service, but he would think about it. Well, what Nick came up with isn’t a delivery service, but it’s almost as good. On Tuesdays, FOR SENIORS ONLY, Café Castello is offering a FREE home delivery service for local seniors. 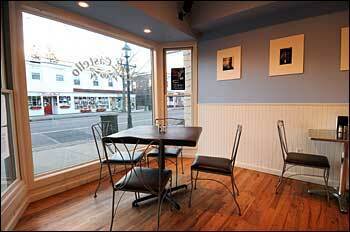 The hours are from 11am to 2pm for lunch and from 5pm until 9pm for dinner on Tuesdays only. 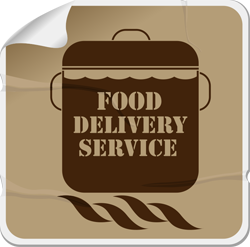 Seniors can order over the phone from the Café’s menu and THERE’S NO EXTRA CHARGE FOR HOME DELIVERY. The price of the meal will be as listed on Café Castello’s menu. Nick hopes that this new service isn’t abused because he’d hate to have to discontinue it. It’s not meant to be a general home delivery service, but is instead a special service meant only for local seniors. Café Castello features “Happy Hour” every Monday-Friday from 4pm to 7pm. 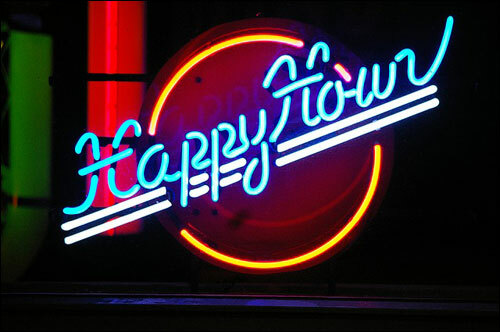 Beer, Wine and Appetizers will be HALF PRICE during Happy Hour. Enjoy a wonderful, relaxing way to cap off your weekday! Remember, all of our Breakfast, Lunch, and Dinner items are available for TAKE OUT! 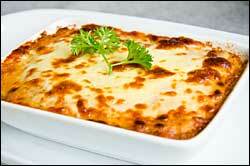 Café Castello features the highest quality, imported, fine Italian delicacies. Fresh Mozzarella Cheese is made fresh daily along with their sauces, which are also made fresh everyday from imported tomatoes. 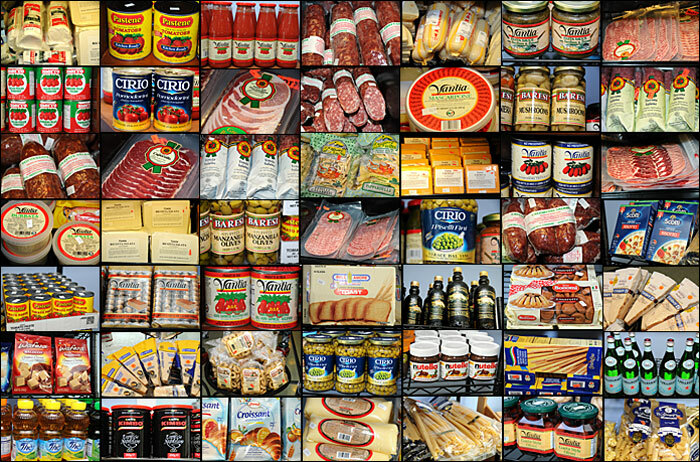 In addition, they offer Italian Food Gift Baskets for all occasions filled with mouth-watering Italian specialty foods. These gift baskets are perfect for the Italian food lovers in your family! Now Serving Wine And Beer! 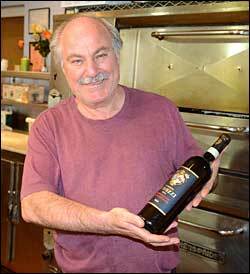 Nick Gagliardi, owner of Café Castello, is very happy to announce that the Café now has Wine and Beer to go along with their great Lunch and Dinner menus at Café Castello. This is something Nick has wanted to do for a long time and it’s a welcome addition to the offerings at Café Castello. Wine and Beer lists coming soon! 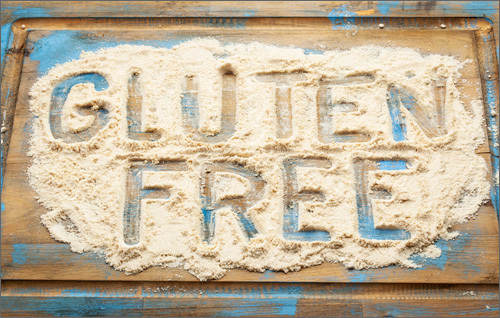 We now offer Gluten Free Pastas, Bread, Bagels and Pizza! 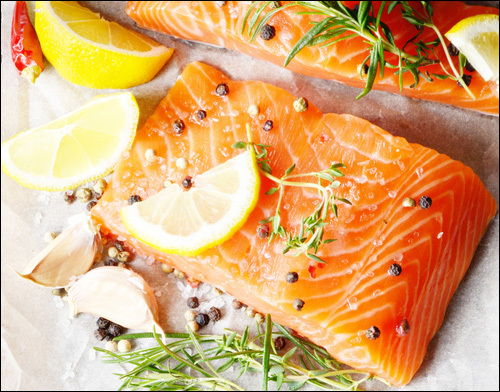 Stop by for dinner to enjoy our new Salmon, Steak and Pork Chop Dishes! 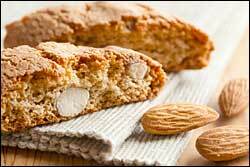 Wouldn’t your family, guests, and colleagues enjoy freshly baked Italian Cookies from Café Castello ? 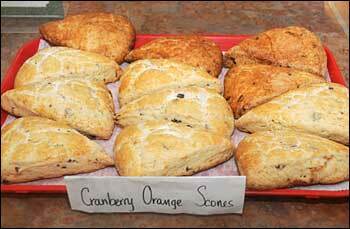 They’re baking many varieties from which you can choose. 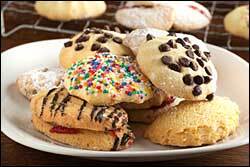 Better yet, order the cookies of your choice ahead of time so you’ll be sure to get exactly what you like. Let Café Castello cater your next party so you can enjoy the celebration too! Café Castello can furnish everything you need to make it a really special day. And, if you don’t have enough room, Café Castello even has a special room where they can host your event for up to 20 or so people. Click here for the Catering Menu. You probably already know that Gelato is Italian Ice Cream, but there's a big difference between creamy, delicious Gelato and ordinary Ice Cream. 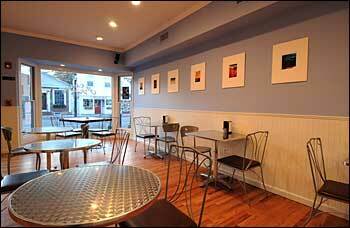 Café Castello makes their own, Home Made, Gelato daily in 8 or more wonderful flavors. Why don't you stop in and see which is your favorite? Café Castello is now featuring breads from the Sullivan St. Bakery in Manhattan! 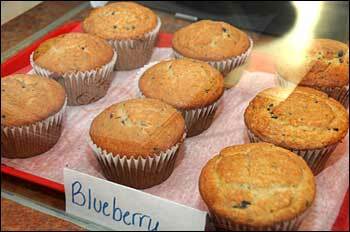 If you’re not familiar with the Sullivan St. Bakery, take a few moments and click here. 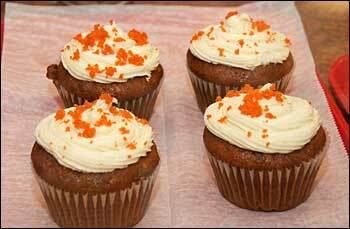 Then, head on down to Café Castello for a real treat! Our Paninis are made with Sullivan St. Bakery, Brick Oven, bread. Lot's of choices so come on in and ENJOY!!! 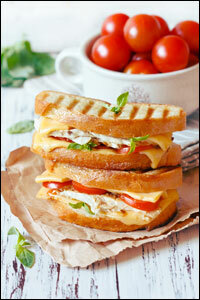 Click here for our Panini Menu.